I’ve lived in my neighborhood for 2 1/2 years now! It’s been such a great neighborhood, but sadly, some of my neighbors have been getting the ‘2 year itch’ and are choosing to move on. 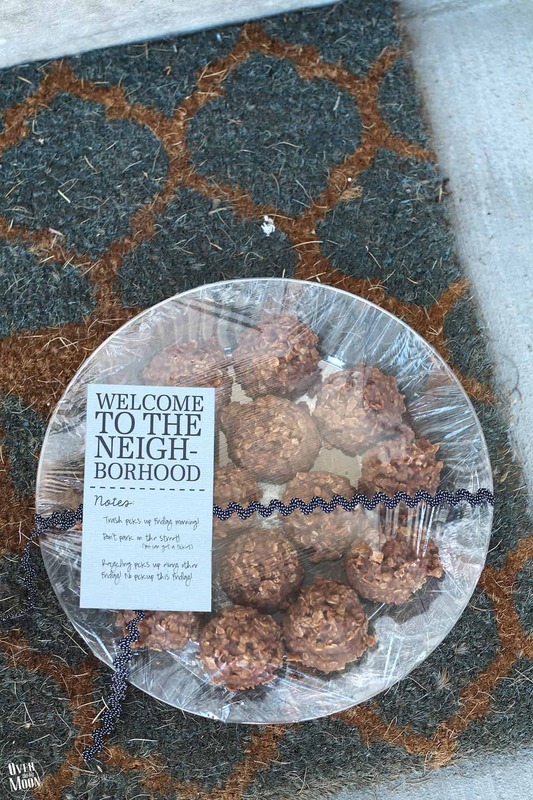 We’ve had a handful of new neighbors over the last few weeks and I’ve wanted to welcome them. But, this is such a busy time of year and I haven’t had a lot of extra time! 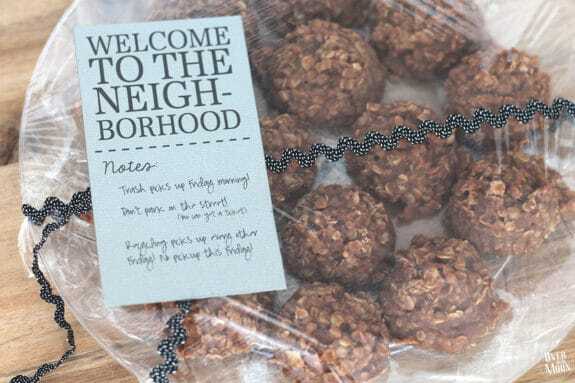 So, I turned to my recipe for Perfect Peanut Butter No Bake Cookies and added a simple Welcome New Neighbor Printable! It was simple, fast and I got good neighbor points! Woohoo! 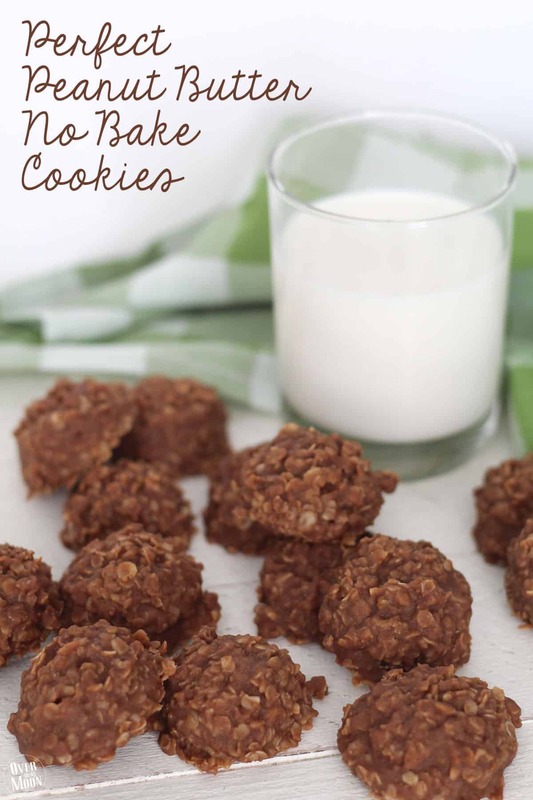 To make it look a little nicer, I put the cookies on my favorite Chinet® Cut Crystal® plates! They make everything look a little nicer! I just stocked up on all my Chinet® products at Walmart for the upcoming Holidays! I’m obsessed with the Chinet® Classic White™ and Chinet® Cut Crystal® disposable tableware for all my parties and get-togethers! And now that I have a few new neighbors I can’t wait to have them over for a dinner! All Chinet® Classic White™ products will be on sale and found easily on end caps in Walmart from November 1-30, 2016, and all Chinet® Cut Crystal® products will be on sale and found easily on end caps at Walmart from December 1-31, 2016. You guys, if you haven’t stocked up on your Chinet® products then you better run! 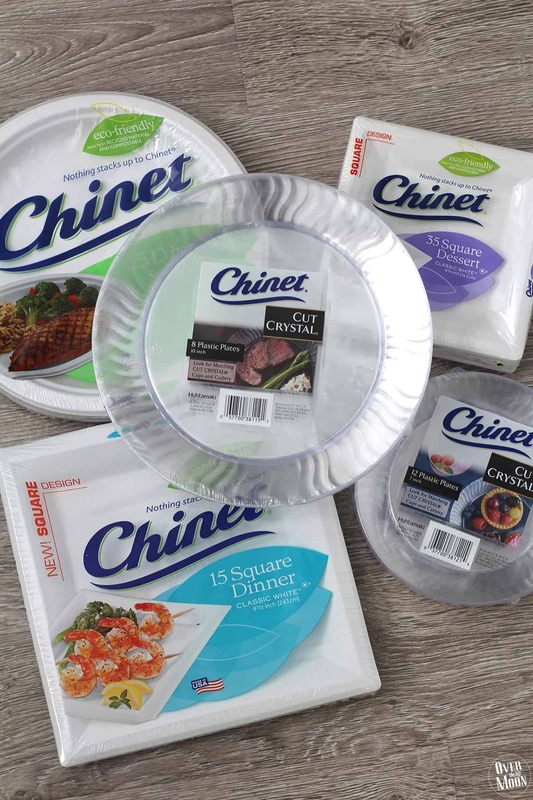 The Chinet® brand not only offers super durable and good-looking products, but it’s disposable. Which means no clean up for you as a host and leaves you more time to visit with your guests! Plus, they have everything you need from, plates, cups, cutler, napkins and now, stemless wine glasses. 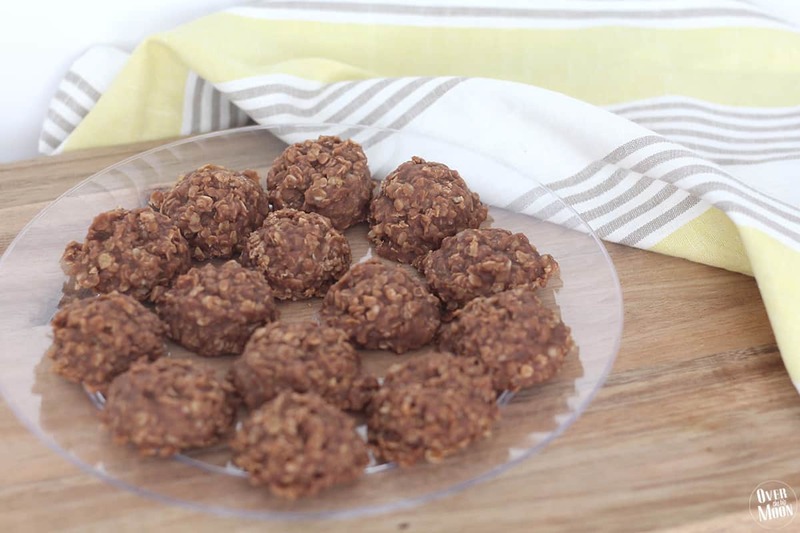 First up, let me share the Perfect Peanut Butter No Bake Cookies recipe with you! Add the butter, sugar, milk and cocoa to medium pot. Place on medium heat. Stir to combine and allow to come to a boil. While it’s working up to a boil, measure your peanut butter and instant oats. Once the sauce has come to a rolling full boil, time boil for 1 minute and 15 seconds. 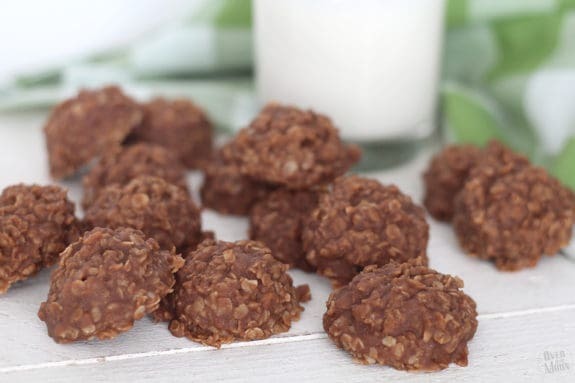 This is the secret to the perfect no bake cookie! 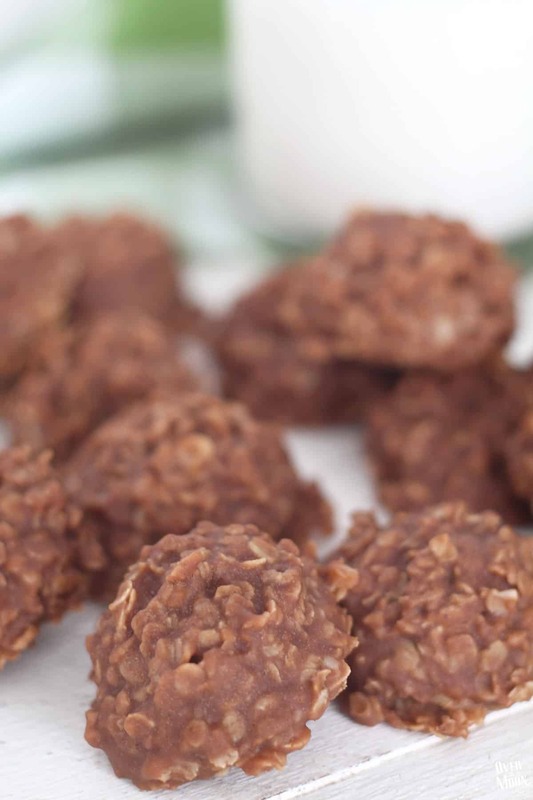 If it boils too long, then the cookies will be too dry and they will fall apart to easy! If it doesn’t boil long enough, then the cookies are too soft! Once the sauce has boiled for 1 minute and 15 seconds, remove from the heat. Add the peanut butter and stir. Then add the oats in and stir. Lastly, add in the vanilla and stir. Get a big sheet of wax paper on your counter top and drop the cookie mixture by the tablespoon onto it. I love to use a a medium cookie scoop! Allow to set for at least 60 minutes before enjoying! Now for the printable! Below you’ll find the download link for the Welcome New Neighbor Tag! 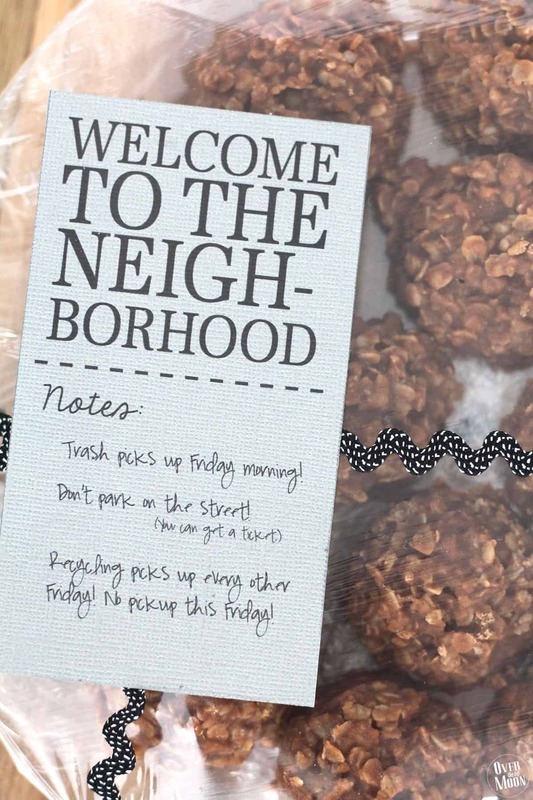 The bottom of the tag will be blank where you can write in your own custom notes for your new neighbor! If you prefer to have the texted printed on the tag, just download the file and then import it into an editing program or website and you can add that text onto the file! CLICK HERE TO DOWNLOAD THE TAG! Okay friends; time to go get to know those neighbors and start planning your upcoming Holiday get-togethers! And don’t forget to stock up on all your Chinet® disposable tableware at your local Walmart! 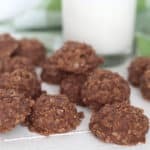 I love Chinet, and I love no bake cookies! This post was made for me! I love the idea of the tag to go on the cookie plate! What a great idea for a neighbor gift. My mom had the great idea to make these as a bar cookie! They worked out great. It also kept us from eating them all while they were gooey! That’s a great idea Virginia! Great idea! I may be getting some new neighbors soon and this will be just the thing to welcome them! Yay! I’m so glad you love it! Happy Holidays!